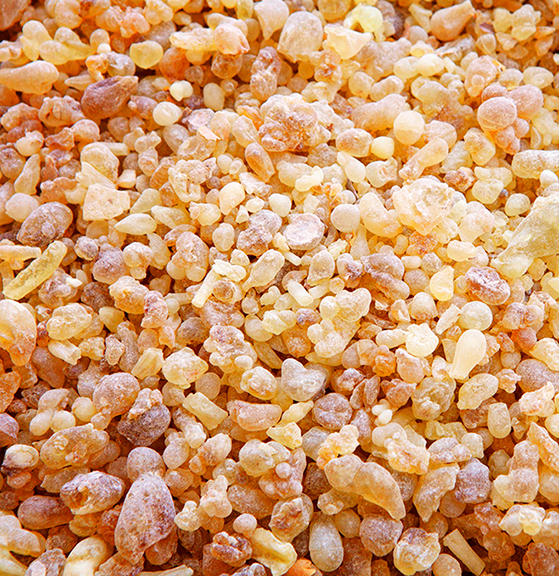 Adam Michael has this to say “Frankincense absolute produced by solvent extracting the Boswellia carterii gum-resin. This absolute exudes outstandingly rich, warm, wonderfully sticky resinous and dry notes along with a fresher lemony fruity top. More full-bodied and richer than the regular carterii essential oil offering, this material brings together the juicy-fruitiness of ripe citruses with balsamic resinous-warmth and the moist coolness of an old church, offering great depth, complexity and versatility. Frankincense absolute makes an interesting base note for fresh and citrus accords and colognes, in oriental, precious woods and spicy accords but also in high class florals where it will make a very elegant base note without dominating or dragging the composition down.